This year, high fashion and streetwear alike played with ideas of authenticity – but has the bootleg bubble burst? There has been no ‘it’ bag or sneaker collab to better accompany any outfit these past 12 months than a dose of self-awareness. Over the course of 2016, brands borrowed other companies’ motifs, riffed on forgotten band merch and created pop culture tributes that came, largely, in the form of t-shirts. With social media acting as a driving force, there was a sense of fun and spontaneity to the whole affair, as labels looked and felt freer to play with their own self image and the perceptions of consumers. Like most trends which have dominated the industry lately, you can probably place a lot of the blame in Vetements’ direction. The mischievous Parisian collective has been at the centre of much that was good, bad or, at the very least intriguing over the past twelve months, and it was the release of their much maligned officially unofficial DHL t-shirt – the one you’ve probably read hundreds of words on, but only ever seen a handful of – that likely ushered in this new form of viral marketing and an appreciation of semi-ironic bootlegs within the fashion world. Other cases quickly followed. Dover Street Market, with all their retail clout, began stocking a brand succinctly named Bootleg is Better, which pays homage to Seinfeld, Gore-Tex and other entities with cult-followings. Fan-style tribute tees to the likes of Princess Di and Louis Theroux appeared on your Instagram feed, as did Hypepeace’s Palestine tees. 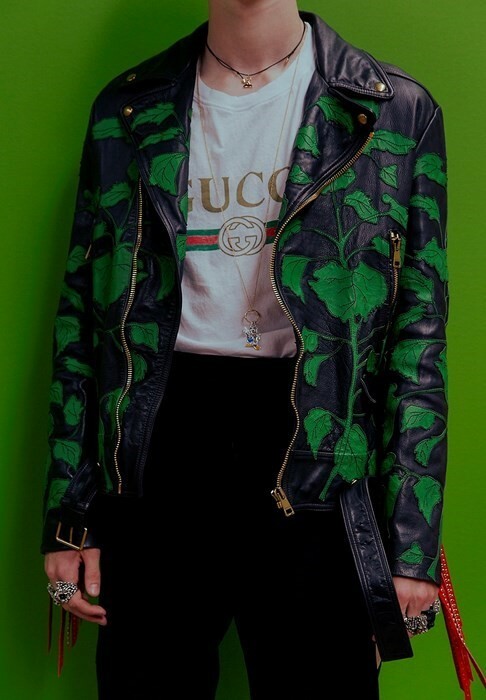 Gucci collaborated with graffiti artist GucciGhost, who applied his appropriated spray-paint motif as well as the slogan ‘Real’ to a number of items, and later debuted a logo t-shirt that was essentially a premium-copy of a market stall fake. As Dapper Dan, the New York pioneer of this concept of luxury bootlegs, quipped to Fashionista: “It’s like, who’s copying who?” It was Dan, a tailor who would craft Louis Vuitton bags intro tracksuits for New York’s hustlers and, latterly, rappers in the 70s and 80s, who arguably paved the way for what would become a defining aspect of fashion in 2016. His influence has long been felt in brands like Stüssy and Supreme who have regularly borrowed visual signifiers of European fashion houses, to the point it has become a trope of the streetwear genre. And so it was within this sphere that the last twelve months of logo-theft, pastiche and parody has felt at its most natural. Palace’s homage to a misspelt Taiwanese bootleg of their own work – with a Tri-Ferg logo that read ‘Placae’ – was undoubtedly one of the best manifestations of this trend over the past year. Vitally, it didn’t feel like a contrived marketing ploy. Elsewhere, the sudden boom of popstar merch (Kanye, Bieber and Drake, to name a few, all cashed in on this) dovetailed perfectly with fashion’s year-long reappraisal of authenticity. 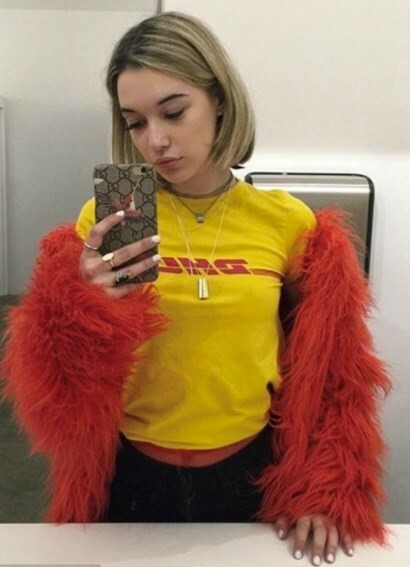 As such, Justin Bieber’s Purpose Tour merch looked decidedly like do-it-yourself heavy metal t-shirts (with a dose of Raf thrown in too), and Kanye’s Life of Pablo gear, conceived alongside artist Cali Thornhill DeWitt, drew directly from LA’s swap-meet culture. Naturally, fast-fashion retailers decided to create their own not-so-subtle takes on this style, making decidedly meta bootlegs of bootlegs. Arguably it was American sportswear brand Champion that was the subject of the most riffs, with a whole host of labels and artists toying with their hallowed ‘C’ logo. Vetements again started this, flipping it 90 degrees to create a ‘V’, New York artist and Dazed contributor Ava Nirui parodied fashion’s obsession through a series of creatively embroidered sweats that merged its ‘C’ with luxury names, and Bootleg is Better worked it with lyrics from Buju Banton’s “Champion”. But at some point, it began to feel like we’d reached saturation point. It was a recent Forever 21 t-shirt that heralded the death of bootleg mania for me. 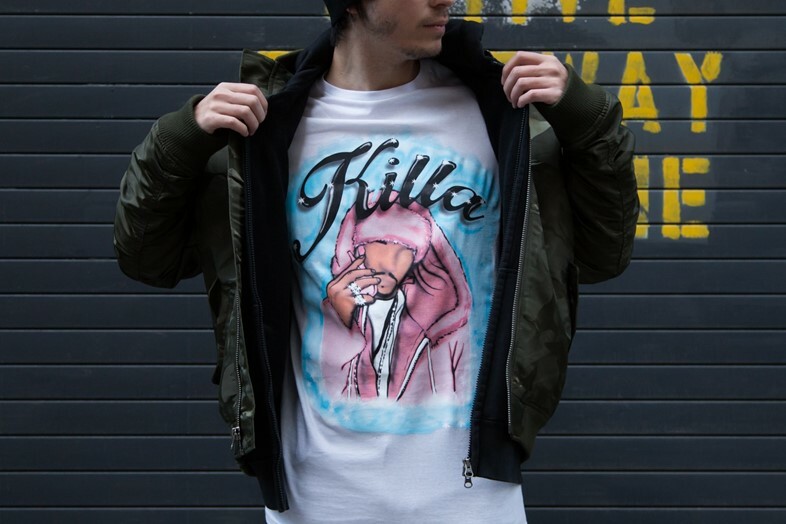 A mawkish imitation of rap merchandise from days gone by, the tee was in the spray can style that you’d once find applied to t-shirts paying tribute to fallen idols, and came complete with the iconic image of a pink-fur clad Cam’ron circa ‘03. Really, its faux nostalgia, ironic rap imagery and unlicensed cultural reference point was nothing more than an attempt to cash in on the trend. After all, Forever 21 turning up to the party is usually a decent sign that it’s time to move on. It’s still probably too early to tell whether this was a by-product of fashion’s greater identity crisis of the past year, as brands shuffled runway dates and consolidated shows, or simply another trend that has come and gone. But what it did illustrate is that all the ‘See Now Buy Now’ and mixed-gender fashion shows in the world aren’t going to halt a rapidly changing notion of luxury. The obsession with bootlegs – and, by extension, authenticity – has echoed a re-evaluation about what consumers want from their brands. They no longer wish to be dictated to and the exclusivity that comes with high price tags is, increasingly, less important. Instead, they want to be in on the joke.